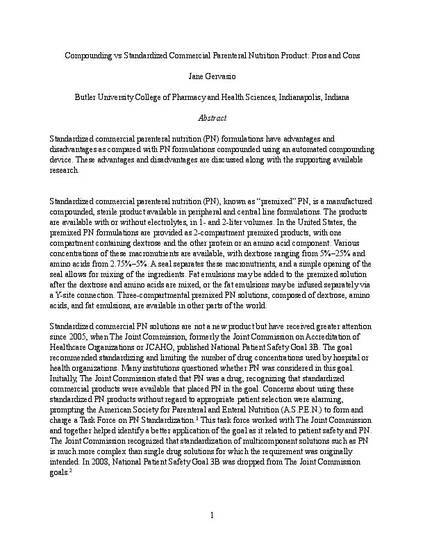 Standardized commercial parenteral nutrition (PN) formulations have advantages and disadvantages as compared with PN formulations compounded using an automated compounding device. These advantages and disadvantages are discussed along with the supporting available research. This is a post-print version of this article. The version of record is available at SAGE Journals.